M. Shannon Helfrich is an AMI (Association Montessori Internationale) teacher trainer, examiner and consultant. Most recently, she trained Montessori teachers at the International Training Center of Montessori Education of China in Hangzhou, China from 2007 through 2011. Shannon has been an AMI Montessori teacher since 1972. She worked in Montessori Children’s House classrooms in Chicago, Illinois and Milwaukee, Wisconsin. 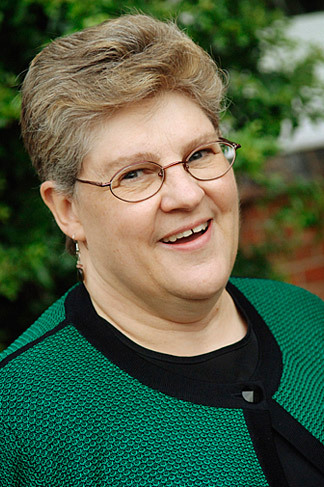 She then founded two Montessori schools, one in Bismarck, North Dakota and the other in Gresham, Oregon.In 1989, Shannon completed the AMI Training of Trainers program and was appointed the Director of Training at the Montessori Education Center of Oregon, which soon became the Montessori Institute Northwest. In the ensuing twenty-two years, she has also directed courses at the Australian Montessori Teacher Education Foundation, helped found a training centre in western Bangkok, Thailand and trained teachers in Hangzhou, China. Shannon is based in Tucson, Arizona, and lectures throughout the United States and internationally on Montessori education and is author of the book Montessori Learning in the 21st Century .